Did you know that the chances of being successful at day trading online are less than 5%? This mirrors the odds of starting a small business and succeeding. The stakes are high in both cases. So you would expect traders and small business owners to be more cautious. You’d think they would spend the time up front to calculate and plan. But there is an issue keeping that from happening. Low barriers to entry and a myriad of misinformation often misleads would-be-success-stories. With the wrong resources, it’s easy to fail in the quest to become a self-sufficient superstar. 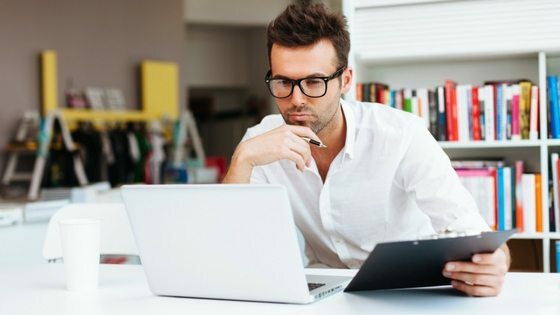 Day trading online is a rewarding career if approached in the right way.So here we will show you 5 simple tips to increase your chances of success. Apply them and you will be closer to reaching your dreams. 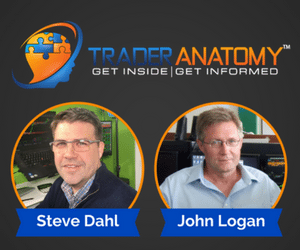 For most people, the initial draw to becoming a trader online is the money. Make no mistake; the profits can be profound. Unfortunately so can the risk. A great way to get a healthy start is to learn as much as possible before risking any money. You want to discover whether becoming a trader is an activity of personal passion for you. If not, make sure that it isn’t a pursuit for profit alone. Are you drawn to trading by passion…or profit? Here are some positive and negative aspects of trading online. You can make your own list of these as well, but these are some key points to start with. Make sure you weigh both sides and add to these lists with your own points. This process will help you discover if you’re passionate enough about trading. You need a strong passion to justify the negative aspects of this career. There are some common and important things that often get overlooked by traders. This is the case whether they are starting out or have some experience. It’s easy to jump into online trading without considering these often-overlooked items. But it’s also dangerous to do so. You want to make sure you know which common things often things get overlooked. The challenge lies in the extensive number of things to consider. To get you started, here is a list of things that are often missed by traders. They’re not stopping blocks but rather signposts to consider on your path to a trading career. Do I have a plan for being a great trader online? What is the method or strategy that I am going to use? Do I have specific strategies for my method? Is there enough money to carry out my strategies? Are my personal finances managed in a way that my trading capital is 100% risk capital? What is my contingency plan? Making a simple checklist like this one can ensure that your online trading get a clean bill of health. Don’t be one of the traders to overlook these important items. Be proactive and figure them out up front. How many traders have a complete trading plan? Actually, a better question might be: How many traders have a plan, period? One of the most overlooked aspects of being a successful trader is the impact of a complete plan. Many traders have a strategy, some have a set of rules, others have a vague idea of their entry criteria. None of these constitute a complete plan. So what can you do to make sure the plan you have is not only complete, but also is sending you on the path to success? Here is the solution. Make sure your plan is so complete that if you handed it to another trader they could replicate your performance. That’s how detailed your plan needs to be. Profitable Trader Online = Profitable Trader Offline. My first taste of how important a complete plan was came years ago. I watched a successful trader staring at one screen with a few blinking numbers and charts. He wore a headset with a broker on the other end of the line. The successful trader was giving exact orders for entering his positions. He told the broker the exact entry, exit and stop loss criteria. There was no room for error. His plan was so exacting that the broker could act as him on the other end. To me, this scene solidified the real role of an accomplished trader. There was no doubt that the successful trader I watched had an exact plan. I saw him explain it to his broker. Make sure you have a complete and exact plan for your trading. Imagine that you have to explain it to another trader, and get that specific. It will serve you well. Mentors and coaches are fantastic resources for improving your trading. I have a story to share to illustrate how important they can be. A friend of mine was a former institutional trader who worked on Wall Street. He called me one day lamenting the difficulty of trading his own personal account. But my friend was a good trader in his old job handling a large fund. The truth is that retail trading is very different from institutional experience. My friend knew how to generate good return by trading large accounts. He collected a performance fee and that was how he made money. When he made the switch to retail, he assumed his results would be scalable. It makes sense. Earning a 30% profit on $100,000 should be the same as earning a 30% profit on $10,000,000. It sounds good and with the right mentality this downwards scaling can be your reality. But it’s not as simple as applying the same strategy to a smaller account size. The change in account size changes the skill and strategy required. My friend was a good trader and an even better person. The problem was he didn’t have the skills unique to a small retail trading operation. Well, what I recommend he do is find a good mentor or coach. At first he was hesitant, but finally he decided to get a coach. This coach went on to transform his retail career and he is now trading his own account with success. Make sure you don’t fall into the same trap my friend did. Figure out where your knowledge and skills are lacking, and find a mentor or coach to fill them in for you. The right person can help guide you from wherever you are to where you are going with your trading career. Job jealousy. It’s a real thing (and a real problem) in the trading world. Many who hold 9-5 jobs are jealous of the freedoms they see online traders enjoying. The grass is always greener – or so the saying goes. With all the attractive benefits of being an at home trader online, it’s easy to get distracted from a basic fact. It’s still a job. Non-traders can only see the thin veneer of freedom and flexibility. They are blind to the disciple and diligence that form the backbone of trading success. Many idolize the freedom of trading without realizing it’s real work. Success as a trader operating online relies on the trader acknowledging that they have a job. And that job has high stakes. It is rewarding, but the rewards come from giving it the respect it deserves. Any trader who has been at it for more than a few days has heard this more than once. Anyone can decide to be their own boss. But it’s what we do with the power of being our own boss is what matters. You can see the opportunity as an invitation to slack off and give yourself a break. Or you can treat it as an opportunity to demand excellence from your workforce (…you!) 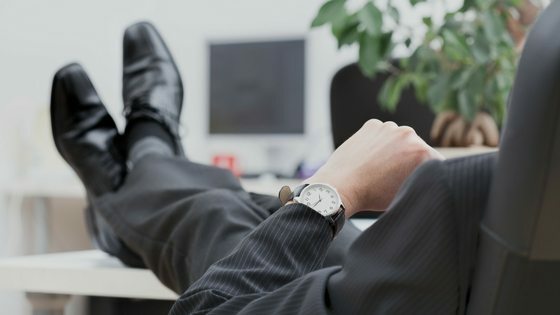 In online trading, you are both your boss and employee. Make sure you are serious about both roles. 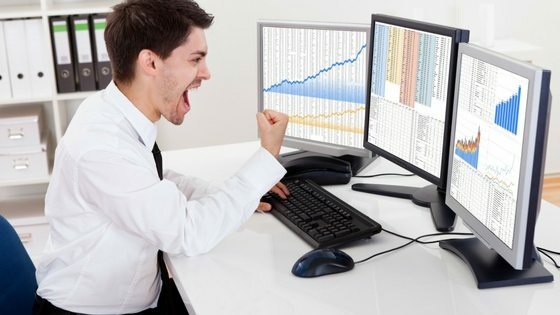 Use these 5 tips to enhance and enjoy your unique path to becoming more profitable day trading online. The path matters more than the destination. Do you know someone day trading online? Do you know anyone who wants to? Share this post using the buttons below!